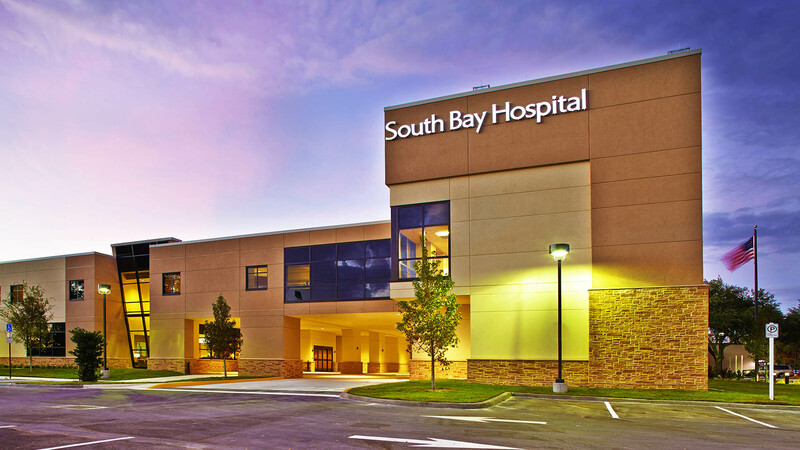 With a new addition and renovation, South Bay Hospital was transformed to better serve the needs of its aging demographic. Sun City Center is largely a retirement community and the special considerations for this population determined the design for this project. Optimal operational flow and sensitivity to pedestrian traffic and distances of visitor travel directed major design components. The hospital also challenged the designers to create a new “visual image” for the campus, including a new main entrance and drop-off. The main entrance was relocated under a new tower addition which allows for maximum visibility from the main thoroughfare. The new, generously sized drop-off drive provides sheltered space for patient drop off at the entrance doors, and includes dedicated golf cart parking. The new entrance and public areas, including the reception desk, waiting lobby and public elevator access, were all designed with operational concerns at the forefront. We are actively growing our team.